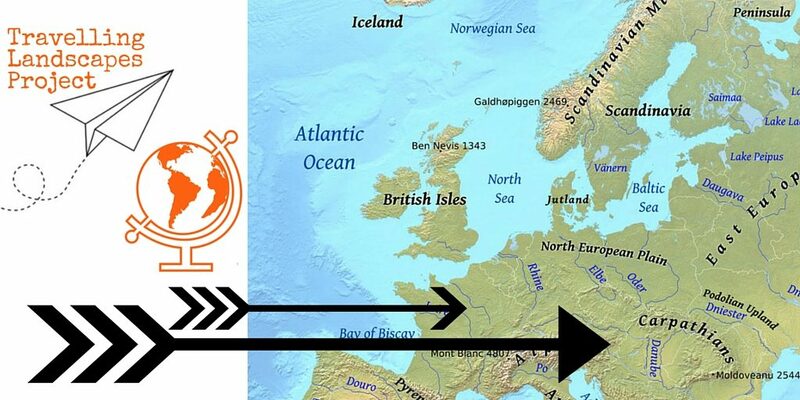 What is the Travelling Landscapes Project? I’ve challenged myself to design a shawl inspired by my travels in Europe this summer. 4 weeks, 2 skeins, at least 4 countries = 1 shawl? I sure hope so! 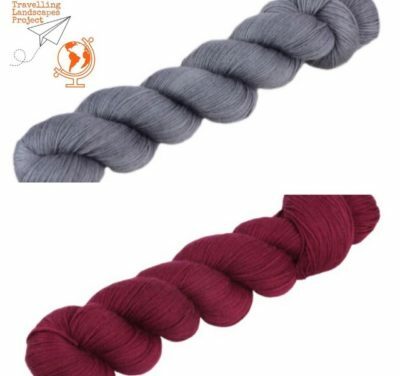 I let the internet help pick the 2 colours that are now waiting for me in Germany. I chose Maus Jung – a beautiful silvery-grey – and let my Instagram followers vote on the second colour. You chose Dunkle Kirsche – it translates as Dark Cherries but I see a lot more raspberry tones. I’ll knit a shawl as we travel, inspired by small details or sweeping vistas. I won’t be hauling my stitch dictionaries around with me, so I’ll have to find online sources for stitch patterns. I’ll be sharing photos of the knitting and our journey on Instagram, with a few updates on my blog and other places, but by keeping the sharing focused I’ll keep this in more of a vacation mode. When it is ready, the pattern will be free to my newsletter subscribers. When I arrive at my in-law’s house in Germany the yarn will be waiting for me. I’ve never used Wollmeise before, so I can’t wait to start! I’ll begin getting to know the yarn by hand-winding it (I’m not packing my ball winder and swift!). I’ll swatch a bit, play a bit, think a bit. And then I’ll dive in! This is a bit daunting, the diving in bit. It’s going to be a very public process, after all, and I do want to finish in the 4 week time-frame. It sounds so completely open-ended and possibly even chaotic. What if it’s a terrible mess? What if I hate it when it’s done? What if you hate it when it’s done? What if I learn a dozen new things? What if I see the landscape in a whole new light through this project? What if I leap off the cliff and learn to fly? In other words: But what if it’s an adventure? I may feel daunted, but I will act undaunted. It will be fun to watch your progress. Good luck. Yes it would be daunting, but your sense of adventure will transform it into a creative experience. Love the idea and can’t wait to see the outcome. Happy trails! Fabulous challenge… I wonder if our paths will cross, at least in Germany? I never knew you had relatives of German origin, so…do you speak German as well? I do speak German quite fluently, but I’m shy about my writing.